The new that both Blockbuster and HMV in the UK have gone into administration this week would have been a huge blow to my much younger self, for whom those stores were an essential component of living. I remember the first time I saw a Blockbuster Video – it was such a revelation compared to the tiny stores that were all we knew in the mid 80s, and where any enquiry for a popular video would be met with the new that their only copy was out on loan. 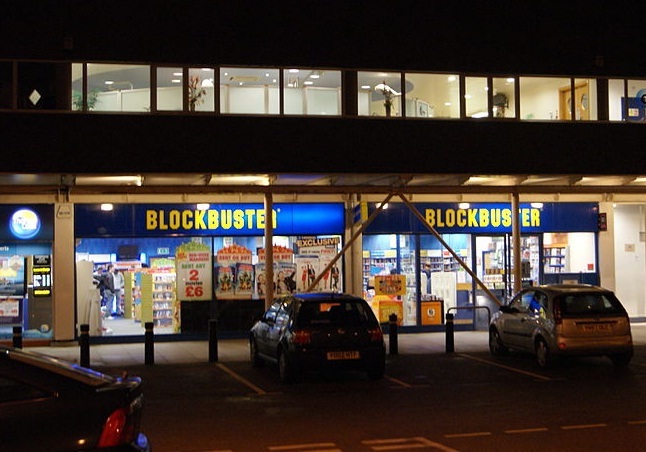 The arrival of Blockbuster in Ashford, Kent in 1989 was quite the most exciting thing to happen to the town since . . well, since my arrival earlier in the year. Ashford in modern times has grown to a massive extent and now has a huge international station, but when I went to live there in 1989 it had little in the way of excitement, and the only cinema was soon to be demolished. Apart from the lure of the nearby countryside, the only thing that possibly kept me there was the girlfriend who had lured me to Kent in the first place. Blockbuster was great, there was dozens of copies of each video, and many more titles than you could get elsewhere. I was a firm customer in those days. I can’t remember when I last rented a video or DVD, it would have been sometime in the late 90s, but by 2000 it was more economic to buy rather than rent, especially as I can be something of a collector. So I guess I’m as responsible as anyone for the demise of the store. HMV is a different story. This is a store I still use to this very day, for although I no longer buy music from them (preferring to purchase online) I still regularly impulse buy DVDs from their store in Dublin. In fact you could say that they were the beneficiary of my lost Blockbuster custom. 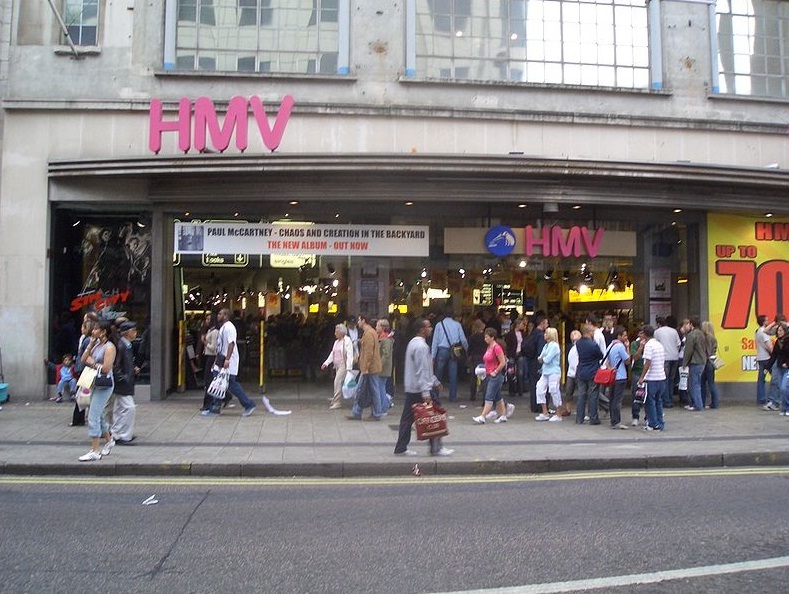 One store will always have a special place in my heart though – HMV in Oxford Street, London. Here it was during my period as Programme Controller of Radio Caroline in the late 80s that I would come to buy music in bulk, to bring out to the North Sea with me. 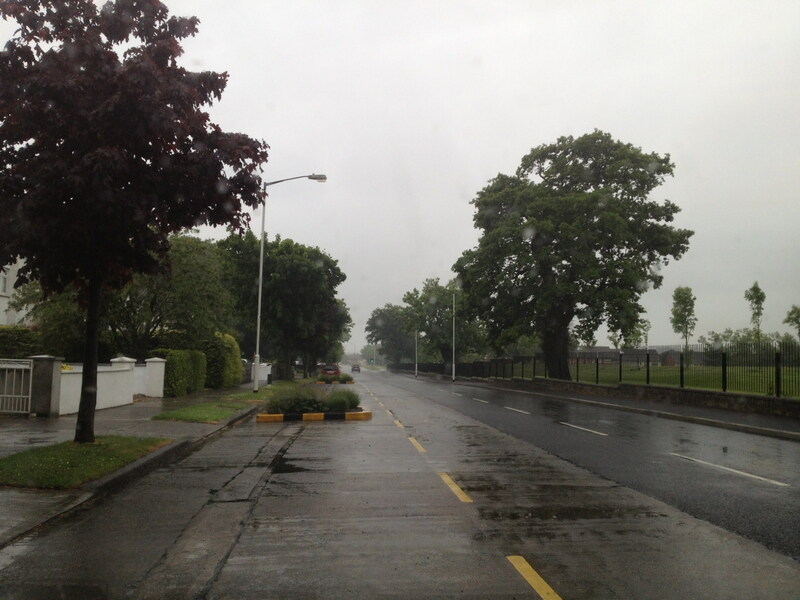 Usually hotfooting it over from Chelsea, following a meeting with Ronan O’Rahilly, I would have a bundle of money provided for music purchases, and I would spend this carefully, buying as many new albums as possible, rather than singles, so that we would have fresh music for the weeks and months ahead. I remember one day spending £400 in the store in a single visit – which, in todays money amounts to £884 (or over a thousand euro). My arms were aching by the time I had dragged my two heavy rucksacks of music from oxford Street, all the way to Victoria Station, down to Dover on the train, across to Calais, and on to Dunkirk from when our supply ship departed. The Oxford Street store also had another connection to Caroline – it had an in-house radio station where many DJs worked while on leave from the ship – I remember Simon West being the mainstay there, but there were others too. Simon always made sure that advance or promo copies of new tracks given to the station were left in a package for me to collect and bring out to the ship also, so it was a “safe” way for record companies and promoters to get their product out to the ship. In later years, that same store was where I bought my first console games – Super Mario 2 and 3, and Zelda for the Nintendo. Hopefully the stores can survive, though these are indeed changed time, and I fear they will not. Another iceberg from my past melted to nothing. Steve now adfree, and more noisy. 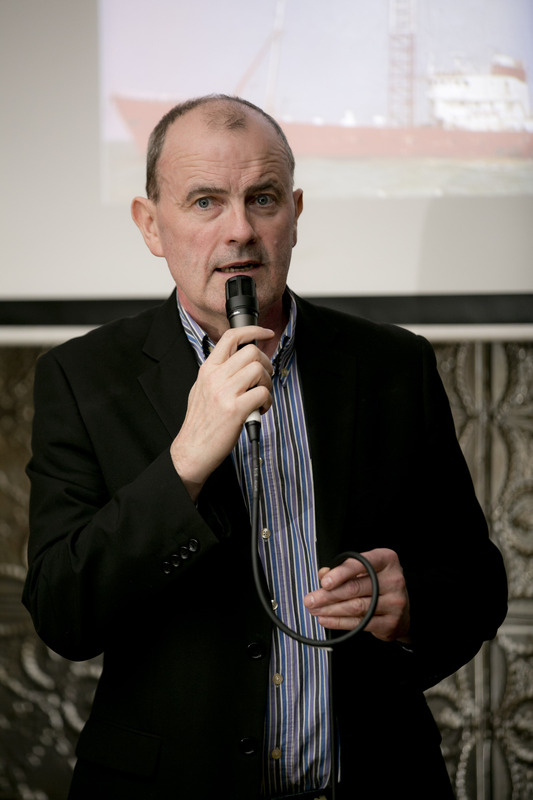 Just a very quick note – I’ve paid for a couple of upgrades from WordPress to enhance the enjoyment of your visits. As of today, we are ad-free, so there will no longer be adverts popping up for services that are beyond my control. I’ve also upgraded the storage space which adds the ability for me to directly host audio on the site, so I can now include clips of off-air recordings etc if they add to the article. 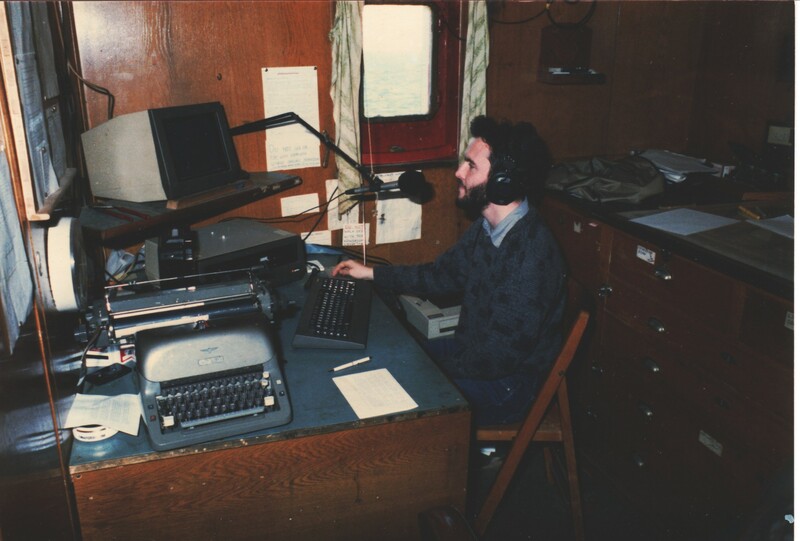 By way of trial, below is a clip from half a lifetime ago, back in my newsreading days with Radio Caroline, at sea on board the ship Ross Revenge. The microphones and audio processing used on Caroline were very good at pulling in background noise whenever there was silence, hence the fact that on music programmes we tried to always speak over song fades and intros rather than dead air. This was not possible in the news of course – just listen to the amount of ambient ship noise (mostly generator rumble) being pulled in behind me on this bulletin – not to mention how dilligently the system amplified my between sentence wheezes! Steve Conway in the Caroline newsroom in late 1987, around the same time as the recording. This was originally the ships chart-room, off the bridge, and unlike the main studios, had no soundproofing. We could have used a news bed (music behind the news) but a huge poportion of the audience find this really intrusive, so we lived with the background noise instead! The location of the newsroom just off the bridge, the closest to the generator room of any of the on board studios, did not help either. The best studio on board for silence was studio 2 (the “overdrive” studio) situated right at the back of the ship. On the clip, the news is followed by Peter Philips reading the latest Lotto 6/49 results (the Canadian Lottery was our biggest advertiser at the time) – this would have been pre-recorded in studio 3, and you’ll note that although generator noise is much reduced, it can still be heard in the background between sentences. Anyway, I shall add in the odd audio piece here from time to time, and hope that you continue to visit and enjoy this blog. Myself (left) and Charlie Wolf with the A.P. Systems van, the picture that sparked the discussion on memories of Surbiton below. My posting of an old picture on Facebook of myself in pre-Caroline days sparked a discussion below which has revived my memories of those great years in Surbiton in the mid-80s and prompted me to search for other pictures. Mike Kerslake reminded me recently of the white van I used to drive in the years just before I went out to sea. (The van, and the company A.P. 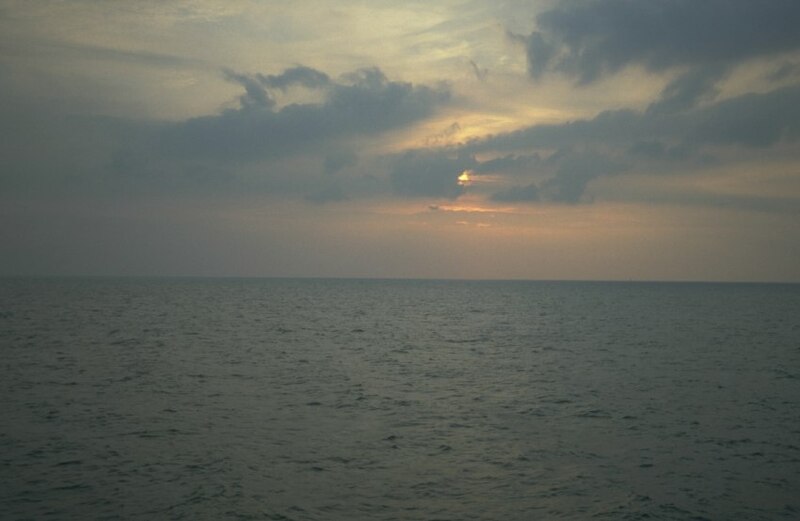 Systems are mentioned in the early pages of Shiprocked – Life On The Waves With Radio Caroline). Here it is with myself and Charlie Wolf sometime in 1986. 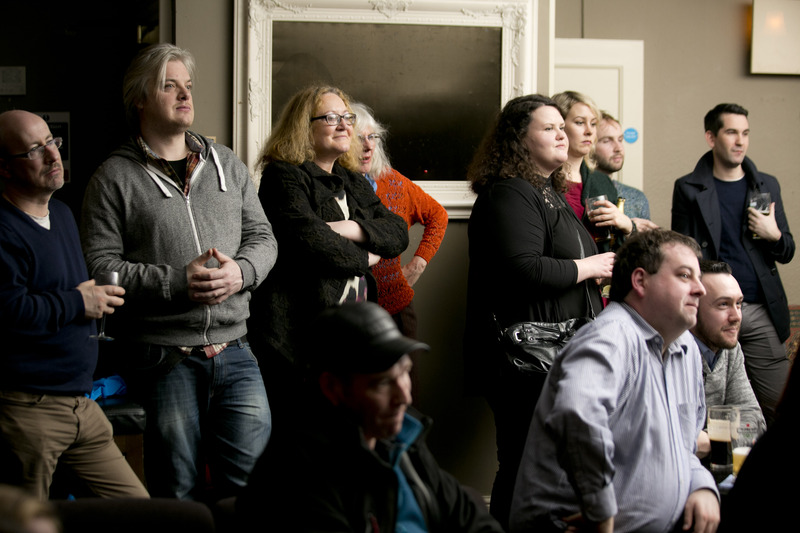 The occasion was the court case of a well-known landbased pirate, the owner of South East Sound, Ray Adams. John Burch had organised a lot of us to come along to provide moral (or immoral?) support. 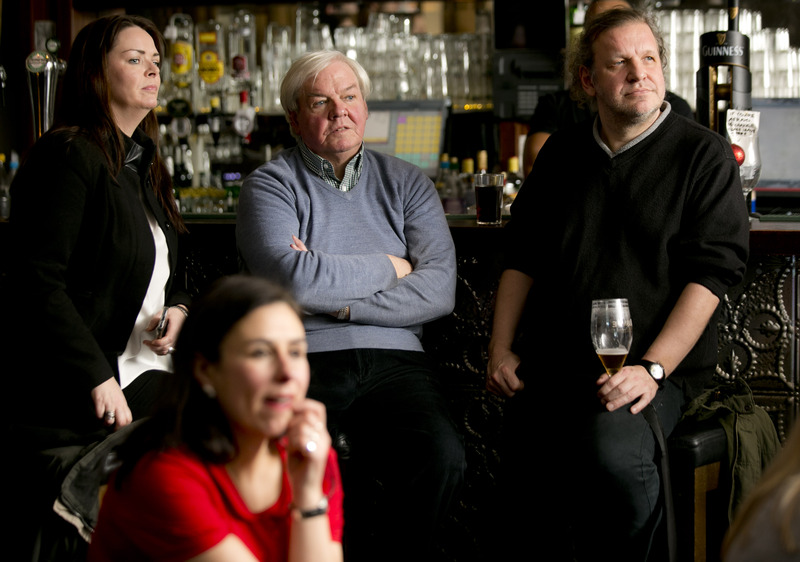 Eileen Keane, Сал Мас, Mick Cox and 3 others like this. Steve ConwayI don’t think I’ve ever looked that smart again in the 35 years since! Mike KerslakeSame here, only weddings ad funerals see me scrub up! John Burchand when it turned up at a TX site loaded with car batteries, tape machines, a TX and other equipment it looked most incongruous amongst the trees and bushes!! Christopher EnglandLooking at the side of the van, whatever happened to ‘Apricot’ computers, eh? Warren StevensonAPS Systems: Were they at the bottom of Brghton Road Steve, close to the petrol station – before you got to the traffic lights at the Portsmouth Road ? Warren StevensonClose to the tyre repair centre I recall. Steve ConwayCorrect – I was their tech support guru for 3 years till Caroline snatched me away! Mike TerryBeing a regular Tuesday night 60s and 70s fan I’m looking forward to your show Steve. Hope you have loads of requests. Warren StevensonIts a coincidence also Steve that the petrol garage in Brighton Road used to sell Epson computers in the late Eighties ! Steve ConwayThey were the same place. The petrol station was A.P. Garage and an office on the forecourt was given over to A.P. 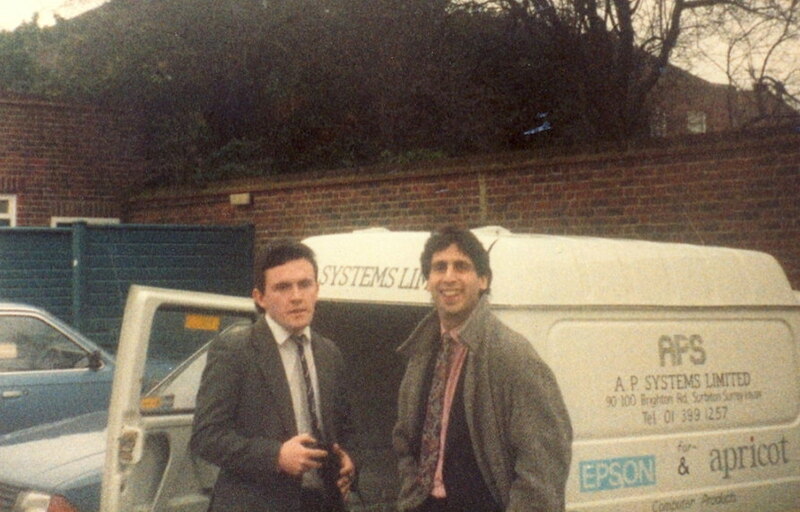 Systems Ltd.
Warren StevensonI also recall in the late Eighties that in a road just off the Brighton Road in Surbiton (The Mall), there was always a black Mini parked which was adorned with Radio Nova car stickers. There was also a Triumph Dolomite that could be seen also regulalry in the town with a Caroline 319 sunstrip . OT: There was an excellent fish and chip shop just down the road, next to The Lamb pub !. 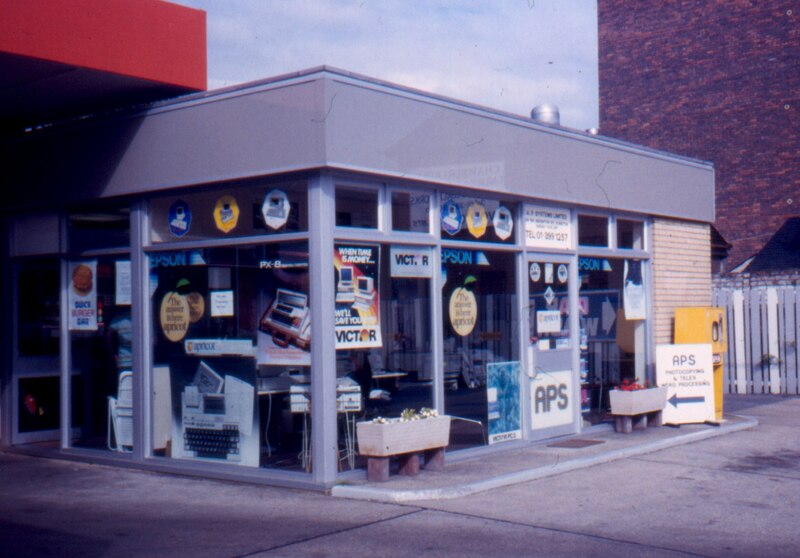 A. P. Systems was a wonderful little company, it was run by a great guy called Tony Williams whose father owned the petrol filling station (A.P Garage) which sold Total fuel (and was in later years taken over fully by Total). As well as being a kind employer, Tony was quite a genius with computers, and had written software for the early Epson portable systems, which eventually led to his running a full dealership, at first for Epson, and then expanding to sell other brands such as the Victor 9000 and ACT Sirius system, Apricot, IBM and others. Tony was a very good salesman, and despite our small size, he managed to make sales into companies all over London and much of southern England. This was before the days of Windows (though it launced while I was there) and all programmes were Dos based – MS-DOS version 1.12 when I started (and the Epson PCs used the less friendly CP/M system). Wordstar was the main game in town for word processing, with Supercalc or Lotus-123 for spreadsheets. But we also provided custom systems written by Tony himself. I came to work for him in 1984 as the tech support guru for the firm (I had been trained up by the Irish sole distributor for Sirius/Apricot, so my knowledge was good). In those days desktop computers were in their infancy, and in almost every case the company we would sell to would be buying their first computer, and it would be my responsibility to deliver and install the systems, and train the staff in how to use them, as well as being on call for tech support for ever afterwards. The general public’s knowledge of computers was limited, and employees would be very wary of these new systems I was installing in their firms, a lot of my time would be spent soothing people rather than fixing computers. I well remember one customer who had bought an Epson potrable computer asking, in all seriousness, how much heavier it would be once the data was loaded onto it! In the three years before I left to work for Radio Caroline, I travelled to every part of London in that little van, as well as most parts of the home counties and beyond. As well as hundreds of small businesses getting their first computers, I also got to deliver and install systems in the GLC (in its dying days), Shepperton Film Studios, Gatwick Airport, and a law firm called Penningtons with offices in the City of London and in Godalming, where I encountered that most rare of beasts, the Apple Lisa – the almost unknown predecessor to the Macintosh. I also have memories of making several trips down to the heart of Wiltshire, to install computers at a dogfood factory in Tisbury, whose owner was very forward-looking, and incredibly nice to me, putting me up overnight in his country lodge and serving me breakfast in the morning (no – not dogfood!) I think they were called Dinnodog or Dinnadog, but I can find no trace of them on the net these days. AP Systems was a small operation, most of the time there was just myself as tech geek, Tony running the company and doing the selling, and young women called Kathy who acted as receptionist but did a lot more besides. There was also a guy called Nigel who came to us from South Africa and moved on to Australia, a bit of a programming wizard, and a wonderfully good-natured salesman called Brian Street who joined not long before I left, and I’m sad to have lost touch with these people over the years. As well as us computer people, there were a steady stream of people working in the garage including a great woman called Ruth who I lodged with for many years, and a new recruit called Gail, who I remember as a part-time a couple of nights a week, but who turned into a mainstay of the site, so much so that now, almost 30 years later, she is still there, as manager for Total. Another photo I have dug up shows the 65 bus, which in those days was the main route through Surbiton, taken in May 1984, just days after I arrived. This route normally went along Victoria Road, but was diverted due to roadworks when I took this picture. The 65 was two-person operated with Routemasters up until February 1986, but these days does not even reach Surbiton (except night services). Notice the wonderfully high-tech (!) 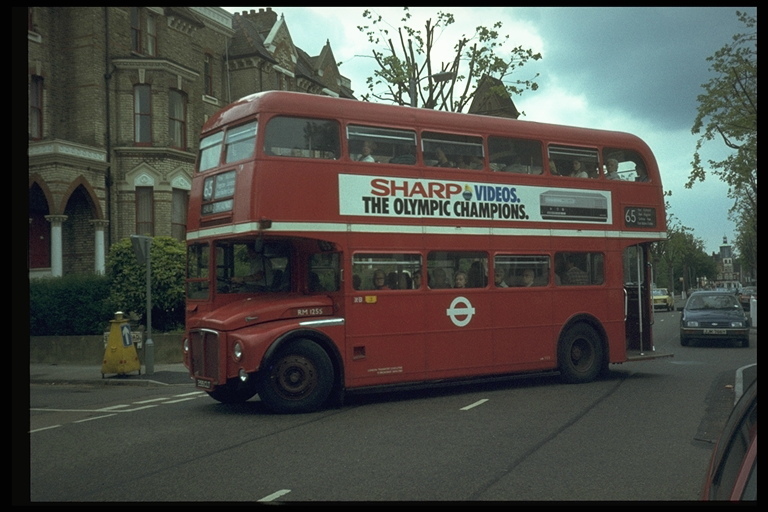 top-loading video recorder being advertised on the side of the bus – I think 1984 was an Olympic year, hence this being used to push video sales. There were many nice places in Surbiton, it was quite self-contained, with a good variety of shops and eating places, and remains so today. 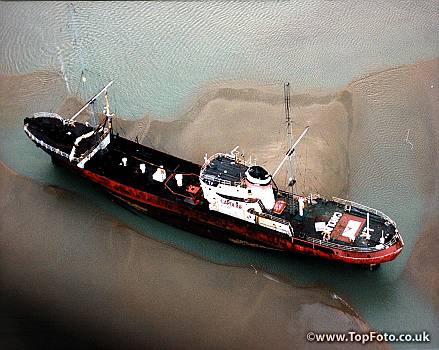 It was a wonderful place to live a work, and I have many happy memories of the people and places of those three years before I headed off to sea to work for Radio Caroline. 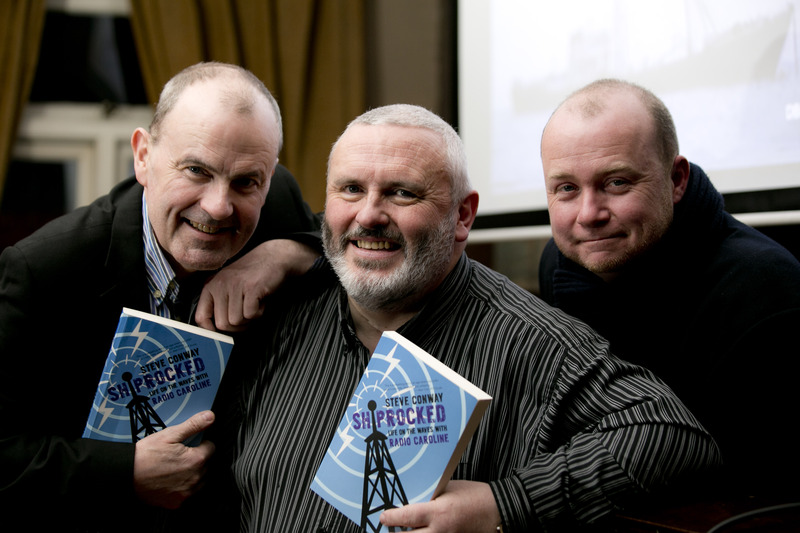 (see: Shiprocked – Life On The Waves With Radio Caroline).